Begins March 31 at 11:00am in Building C Room 309. Ages 25-40. Join us as we live out the beauty of the Gospel together. Led by Lindsay Oakley and Amanda Sweat. No activities on April 3 due to spring break. Interested in joining a mission team to Anchorage, Alaska, June 9-16? Call the Church Office at 453-9001 or email krussell@fbcsev.org by Sunday, April 7, for info. Our next Connections Class and lunch for new & prospective members will meet Sunday, April 7. Please contact Karen Price at kprice@fbcsev.org or (865) 453-9001 to register. Brochures are available at the Welcome Center for more details. God created us to be courageous and honorable men of valor. Join us as we engage with a group of Navy Seals as they tell us how they have chosen to be set apart as followers of Jesus Christ. Classes begin Wednesday, April 10, at 6:00pm in Room 109 of the Good News Building. Led by Dave Tinker. Saturday, April 13, from 10:00am-12:00pm in the Parlor. Registered at Amazon, Dillard’s & Target. Saturday, April 20, from 10:00am-12:00pm at our Park Road Property. We are in need of Little Debbie snack cakes and peanut free candy. If you want to help further, bring your candy pre-stuffed inside of plastic Easter eggs! Sunday, April 21, from 7:45am-12:30pm. Located on the 2nd floor of Building E. Stop by at any point to have your picture made with your family. Please don’t skip a Worship Service or Life Group to do so. With your consent, we will be posting the pictures on our Church Facebook page. You can pick up a consent form at the Welcome Center. Please bring the form with you. Sunday, May 5, during the Bridge. If you are graduating from college or high school and would like to be included in our mail out, please get your picture to Amanda in the Church Office by April 18. Write your name and the school you are graduating from on the back of your picture. No proofs please. All scholarship applications for the 2019-20 school year are due by May 15. Applications may be found under the college section of this website. Completed applications may be emailed to sroberts@fbcsev.org or dropped off at the Church Office. Students must re-apply each year. If you are interested or know someone who might be in lessons, please contact the Church Office at 453-9001.  Tithes and offerings may be made from the FBC app on your mobile device, by texting keyword FBCSEVIERVILLE to 77977 or by clicking our GIVING link .